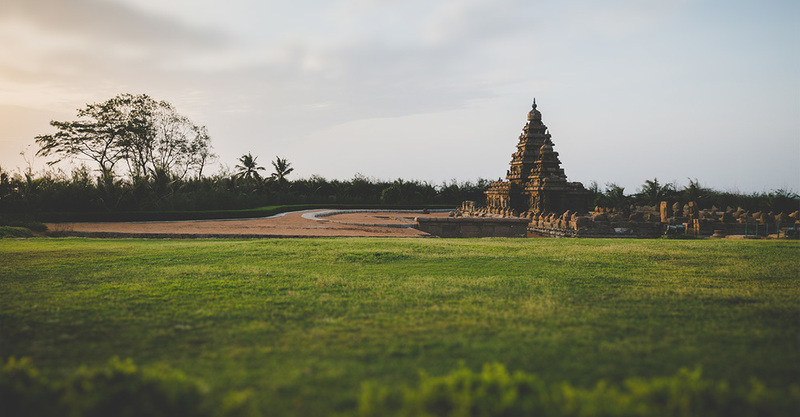 Sanjay & Brindha - From Singapore to Mahabalipuram! 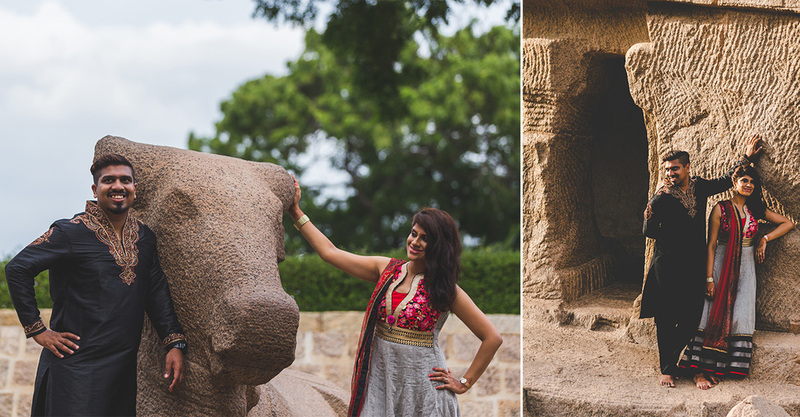 First, let me just say I was chuffed to bits that Sanjay & Brindha chose me to be their photographer, came over all the way from Singapore and spent the day with me along the Mahabalipuram coast and it was just so much fun! 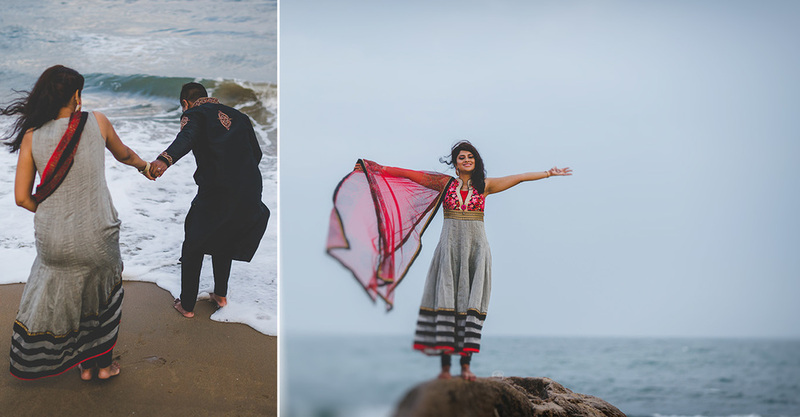 Early in March, I got a mail from Sanjay with some very specific information on how he wanted the shoot to be and the ground work for the shoot started that very day. The next 4 months were spent planning, scouting for locations and visualizing the shots we had in mind and making an itinerary for the day of the shoot. 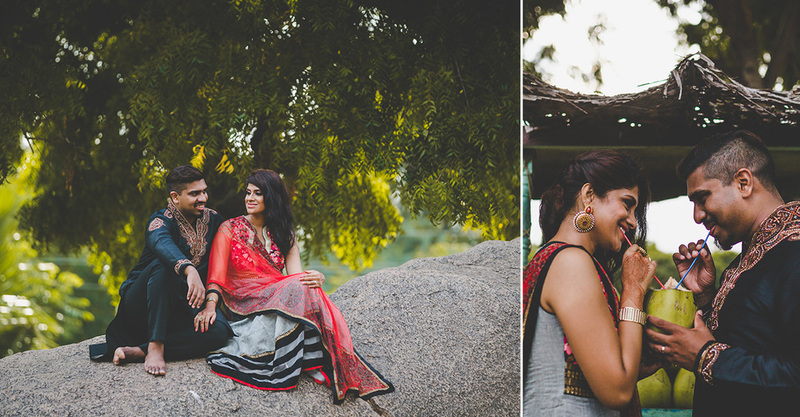 Sanjay & Brindha tie the knot this November. Here's wishing them an advanced happy married life! Shasvathi & Karthik - A weekend in Bombay. 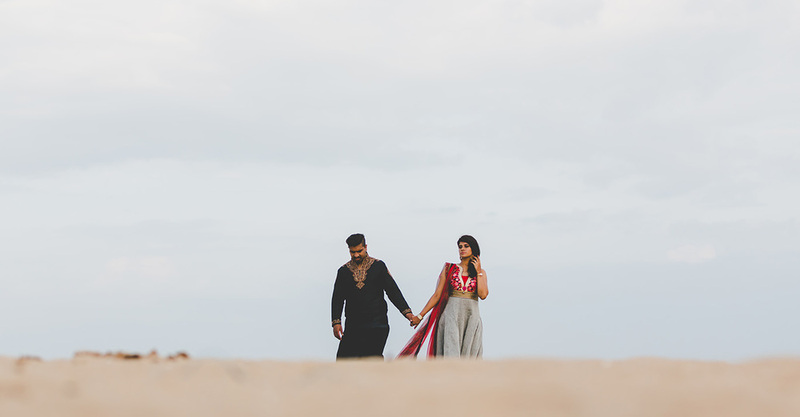 Charanya & Jovvian - Lovely little church wedding in Chennai.